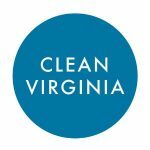 The Clean Virginia Project is a new initiative to defend Virginia consumers and small business owners from the political stranglehold of Dominion Energy. Don’t let anybody tell you that one vote doesn’t matter. Lawmakers in Virginia’s House of Delegates today summarily killed four bills that would have ensured more equal treatment under the law for LGBTQ people across the Commonwealth. Chris Graham talks #TakeaKnee, and the intersection of sports and politics. Dr. Ralph Northam comments on the U.S. Senate’s latest failure to pass Graham-Cassidy, an attempt to repeal and replace the Affordable Care Act. One Virginia governor race poll released yesterday had Democrat Ralph Northam and Republican Ed Gillespie tied. 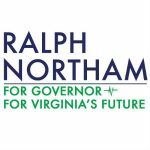 The Virginia Credit Union League, the state trade association for the Commonwealth’s 136 member-owned credit unions, today announced its endorsement of Democrat Ralph Northam for governor. Democratic gubernatorial nominee Ralph Northam is coming out forcefully against the new version of Trumpcare making its way back through the U.S. Senate. A Suffolk University poll shows Democrat Ralph Northam and Republican Ed Gillespie tied, with 42 percent supporting or leaning toward each. Democrat Ralph Northam has a five-point lead on Republican Ed Gillespie in the race for the open Virginia governor job, according to a poll released Monday by the University of Mary Washington. Democratic Party gubernatorial nominee Ralph Northam has unveiled his policy plan to build and expand Virginia’s vibrant technology ecosystem. The Northam for Governor campaign announced it raised $7,214,788.57 for the last reporting period ending August 31. The Virginia Transportation Construction Alliance announced Lt. Gov. 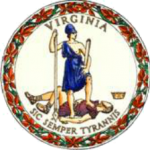 Ralph Northam as its choice to be the 73rd governor of the Commonwealth of Virginia. Lt. Gov. Ralph Northam comments after Anthem’s decision to continue offering insurance policies under the Affordable Care Act throughout Virginia. Lack of Northam response on Jefferson statue tarp: Political impact? Some Democrats expressed private worry over the zeal of candidates on the Virginia state ticket to jump out on the Confederate monuments issue in the aftermath of Aug. 12. More than 66,000 residents in 58 cities and counties could be left with no coverage and no options next year as insurers end their participation in Virginia’s exchanges. Lt. Gov. Ralph Northam unveiled his policy plan to bolster Virginia’s public education and strengthen opportunities for all of Virginia’s children. Ralph Northam comments on the City of Charlottesville’s decision to remove the statue of Robert E. Lee from Emancipation Park. Lt. Gov. Ralph Northam holds a 44-38 percent lead over Republican Ed Gillespie in the Virginia governor’s race, according to a Quinnipiac University poll. Dr. Ralph Northam unveiled his new agriculture and forestry policy plan that will continue championing the growth of Virginia’s number one private industry. Democrat Ralph Northam holds a five-point lead over Republican Ed Gillespie among likely voters — 42 percent to 37 percent. American Federation of Teachers leaders released a statement after endorsing Lt. Gov. Ralph Northam for governor of Virginia. Today, the Human Rights Campaign, the nation’s largest LGBTQ civil rights organization, has endorsed Dr. Ralph Northam for governor. The Northam for Governor campaign released “Wise,” an online video shining a light on the healthcare landscape in rural Virginia. After the elections last fall, Americans have been more divided than ever over politics. The Northam for Governor campaign announced its complete schedule of debates and joint appearances. Democratic Party gubernatorial nominee Ralph Northam unveiled his new rural economic policy plan today. Dr. Ralph Northam today called for a Bipartisan Joint Health Care Subcommittee in Virginia to address the rising costs of healthcare. The Ralph Northam for Governor campaign announced it raised nearly $2 million for the last reporting period ending June 30. The Virginia Professional Fire Fighters announce Lieutenant Governor Ralph Northam as their choice to be the 73rd governor of Virginia. Lt. Gov. Ralph Northam criticized the Better Care Reconciliation Act at an event in Norfolk today. The Northam for Governor campaign announced its commitment to a schedule of three debates and seven joint appearances. The Perriello campaign is announcing its Inclusive Virginia coalition – a group of more than 30 immigrant and constituency leaders. Ralph Northam announced Virginia Votes, a series of proposals to expand voting rights and increase government transparency. Tom Perriello unveiled a new policy proposal on Monday aimed at reforming regulations currently governing women’s access to birth control. Remember when Elaine wanted to fire the J. Peterman auditor, and couldn’t? The rules of ‘Seinfeld’ are more strenuous than those of our constitutional system, Chris Graham reports to us, in today’s episode of Street Knowledge. For all the concerns raised by economists about the House tax plan, it is assumed that the proposal will reduce the gaming of the tax system. Tom Perriello, Democratic candidate for governor of Virginia, is releasing a new TV ad vowing to protect Virginians from the agenda of President Trump. 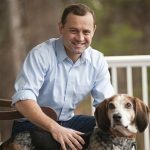 The Hampton Roads Building and Construction Trades Council and the Richmond Building Trades Council are endorsing Tom Perriello in the Democratic primary for governor. Tom Perriello has released a tax reform proposal that gives the middle class a tax cut and funds a working families agenda. Virginia leaders urged Congress to take action to protect retired coal miners who risk losing their healthcare benefits. Seven school board members from across Virginia are endorsing Tom Perriello ahead of the June 13 Democratic primary for Virginia governor. LiUNA (Laborers’ International Union of North America) announced its endorsement of Lt. Gov. Ralph Northam in the Virginia governor’s race. Virginia Gold Star Parents Khizr and Ghazala Khan are endorsing Tom Perriello for governor, ahead of the June 13 Democratic primary in Virginia.